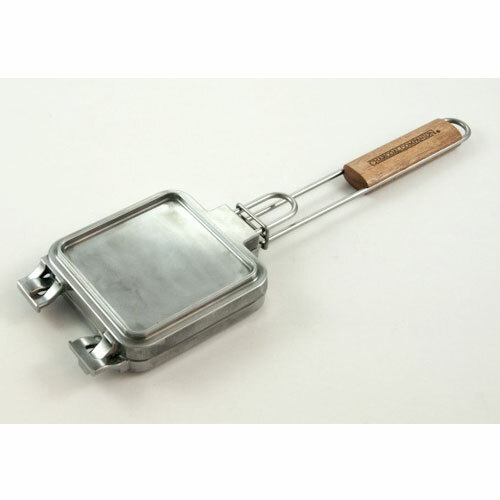 Grilled Cheese Iron | Patio and Hearth Co.
Take a family favorite and cook it on the grill or over an open fire! Now you can have delicious grilled cheese sandwiches even when you cook outdoors. All you have to do is place your sandwich inside the iron, close the locking lid, and cook! The iron cooks your sandwich while pressing it for a delicious, crispy outside with gooey, cheesy inside! Flipping your sandwich is as foolproof as turning the basket over, and the iron disassembles for easy cleanup. Inquire about Grilled Cheese Iron using the form below.